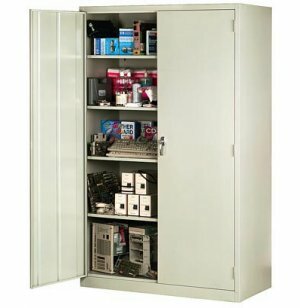 Jumbo Storage Cabinets can hold an abundance of office supplies, craft materials, small electronics and just about anything else. They feature four adjustable shelves, which can be arranged to hold items of different sizes. 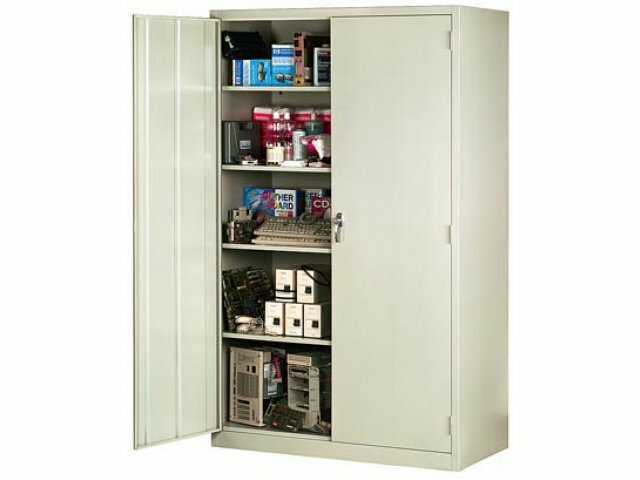 Spacious: Four large adjustable shelves are suitable for a variety of items.